MANILA - Malacañang on Sunday said the administration of President Rodrigo Duterte "never shelved" the Philippines' victory in its arbitration case against China in the West Philippines Sea. In a statement, Presidential Spokesperson Salvador Panelo said the arbitral ruling was "irreversible", but it was also "unenforceable." "In the first place, this Administration never shelved the arbitral ruling. It only remains unenforceable because no foreign force seems persuaded to help us enforce it, and neither do we have the capability of enforcing it alone by force, not to mention the fact that performing armed acts of enforcement could only trigger a bloody war that could cost the lives of our countrymen and destruction of properties in our land," Panelo said. Malacañang's statement follows former Foreign Affairs Secretary Albert Del Rosario statement urging President Duterte to “unshelve” Manila’s arbitration win. Del Rosario and former Ombudsman Conchita Carpio-Morales recently filed a complaint against Chinese President Xi Jinping before the International Criminal Court (ICC) over alleged crimes against humanity over environmental damage in the South China Sea. 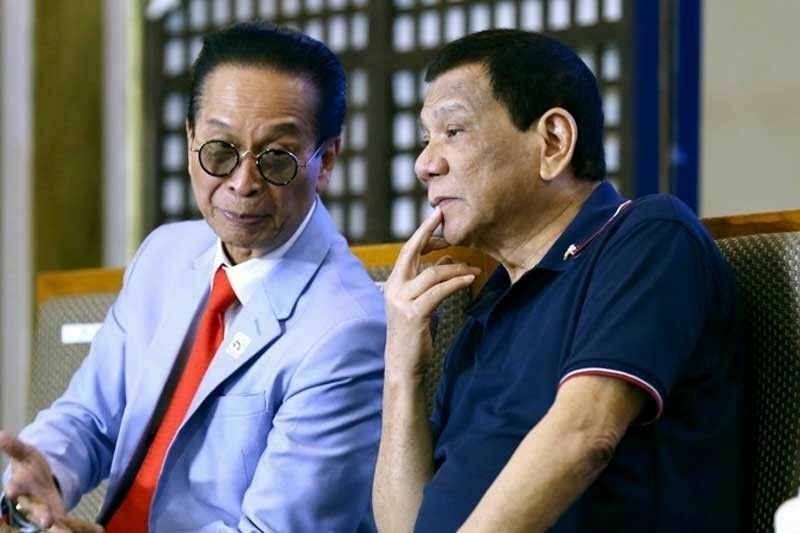 Panelo, meanwhile, also rebuked Del Rosario, saying it was during his term as Foreign Affairs Secretary that the country lost its possession of the Scarborough Shoal. "Moreover, Mr. Del Rosario, being responsible for the loss of the country's possession of the Scarborough Shoal during his stint as Foreign Affairs Secretary by naively causing the withdrawal of our armed ship in the area of conflict, certainly cannot put forward his pretended patriotism and feigned righteousness as if he has not contributed vastly to the unwelcome situation we are presently in," he said. In December 2016, Duterte said he would "set aside" the arbitral ruling as he sought closer ties with China, a move that was welcomed by the Chinese. China refuses to recognize the United Nations-backed arbitral tribunal’s ruling that invalidated its sweeping 9-dash line claim that covers most of the South China Sea. Panelo, however, urged the Chinese government to respect the ruling. "We urge the Chinese government to respect it, and we hope the mechanism of bilateral negotiations between the countries forge a mutually satisfactory solution to the conflict based on internationally accepted principles of justice and reciprocity, as well as anchored on the dictates of each national security and aspirations of their people," Panelo added. Panelo also said the arbitral ruling is permanent. "We reiterate our unchanged stance - the arbitral ruling is irreversible, the same being based on the United Nations Convention on the Law of the Sea and international law accepted by most, if not by all, nations. It has the stamp of permanence," he said.